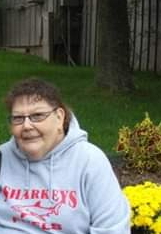 Debra Ella, 61, entered into eternal peace on March 22, 2019 at home, surrounded by her children. She was born August 27, 1957 in Rochester NY to Carl and Mary E. Hull-Hansen. Debbie graduated from Rondout Valley High School in Stone Ridge, NY where she also met her Husband of 27 years, Kirk Wintermeyer. Debbie and Kirk were married on July 19, 1978 in Kingston New York and they had 3 daughters and 1 son. Debbie managed a convenience store, with Kirk, in Wawarsing New York for over 20 years until Kirk passed in 2005. She then drove a school bus for Rondout Valley School District until retiring early due to her illness. After losing her husband, Debbie was blessed to fall in love again with her amazing fiancé David Kinney! She got to enjoy her “Golden Years” with Dave and right hand woman Debbie! Debbie enjoyed building her race car with her son and watching him race at Accord, watching and going to NASCAR races with Dave and her best friend Debbie, and shopping!! She also enjoyed spending time with her grandchildren more than anything! She will be so missed and a piece of all our hearts will forever be missing! Debbie is survived by her 3 daughters and 1 son, Brandi Wintermeyer, Teresa Wintermeyer and her spouse Rameek, And Krystle Wintermeyer-Stockton and her spouse Gawayne and Bobby Cutler. Debbie is also survived by 3 siblings Charlie, Gary and Ruthie and her amazing 8 grandchildren Kain (her WHOLE heart), Avien, Loretta, Logan, Olivia, Alexis, Justis and Zach. Her grandchildren meant more to her than anything and they loved her to no end! She also has many in laws, cousins, nieces and nephews that she loved! Debra was pre-deceased by her husband Kirk Wintermeyer, her fiancé David Kinney, her Son in law Matthew Coffey and both of her parents Carl and Mary Hansen. Our family would also like to personally thank Sullivan County Hospice! The care and compassion they showed our mom was amazing and they went above and beyond to make sure she was comfortable during her final moments with us! Debbie’s services will be held on Tuesday, April 2nd from 6p-8p at H.B. Humiston Funeral home at 30 42nd Street in Kerhonkson NY with a short service at 7:30p! All flowers and donations are being handled by the funeral home!